Founded in 1984, Anant Group is one of the well-established and recognized real estate organization in India. Anant Group has created rich history over past 30 years based on commitment and quality. It’s a tradition built on trust. That tradition continues to grow with each new project. It’s a tradition built on trust. That tradition continues to grow with each new project. Anant Group with three decades of experience in creating quality homes has been on the forefront of spreading happiness through beautifully built homes. Since inception, the group has always strived for benchmark quality, customer centric approach, uncompromising business ethics, timeless values and transparency in all spheres of business conduct. The key competitive strengths of Anant Group are superior execution capability and backward integration model. The group has all competencies and in-house resources to deliver any project from conceptualization to completion. 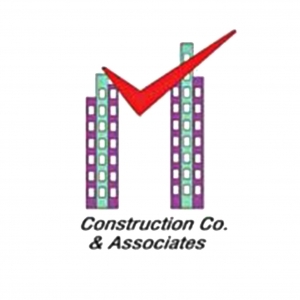 Anant Group along with its associate companies “Chhaya Construction Co” & “ M Construction Co” has completed more than 50 million sq ft of construction in all verticals of real estate, whether it is residential or commercial projects. Pioneering new trends in the market and fuelled by intense eagerness to innovate, deliver value and built trust, the expanding business footprint has spread across Mumbai and its surrounding areas. The unwavering focus has always been to attain complete client satisfaction resulting in successful deliveries that are now recognized as the Hallmark of the group.